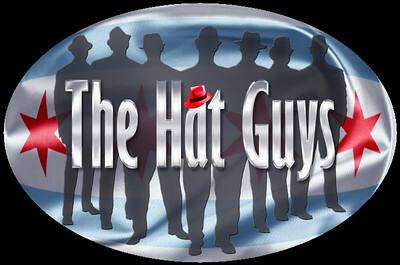 WE’RE INTERESTED AND WOULD LIKE TO KNOW MORE ABOUT BOOKING THE HAT GUYS. WHAT SHOULD WE DO? 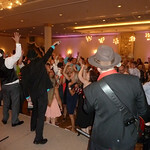 Please send us an email at info@thehatguys.com with the key details of your reception, including the date, location, general timeframe and anticipated number of guests at your reception. 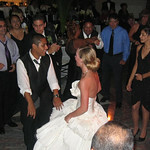 We will contact you quickly to the details of your wedding and to answer all your questions. After that, we will email you a pricing proposal. We’ll check in with you a few days thereafter, if we haven’t heard from you, to see if you’re ready to make a decision. CAN WE SEE YOU PLAY LIVE? 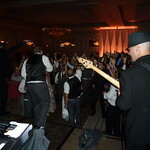 There are many opportunities to see the band live at upcoming festivals, nightclubs and special events. Please see the Tour Dates page of our website for a list of upcoming shows. Please also let us know if you plan to attend in advance, as, in the past, we have made arrangements to provide access and/or waive cover charges for potential clients. Please bear in mind that many clients have booked us based on the recent live videos and audio clips on our website. 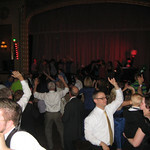 Our videos and audio are very realistic and show a wide range of musical styles. 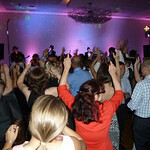 Some prior clients have told us that they could picture themselves dancing at a wedding to the songs in our video and audio tracks. 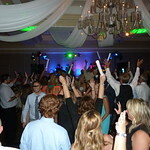 I’VE NEVER PLANNED A SOUNDTRACK FOR A WEDDING. HOW DO THE HAT GUYS PUT TOGETHER A FULL NIGHT OF DANCEABLE MUSIC? 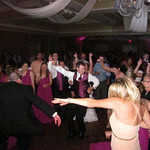 The musical portion of your reception will likely only last for about three to four hours. 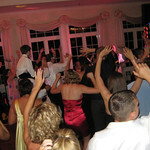 With announcements and the many traditional rituals that take place during this time, you can realistically expect to hear roughly 35 to 50 songs during your reception. Some bands will tell you that they play thousands of songs, and then ask you to filter through an unwieldy list to find your top choices. In essence, they are making you make all the decisions. 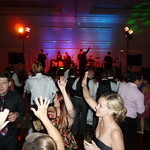 To make this process more manageable for you, we start with a core list of about 100 songs that we know are truly popular because we play them regularly for crowds of all ages at a wide variety of events, including weddings, festivals, clubs and corporate events. We ask you to tell us your top 20 “must haves” and to identify any that are “no gos”. 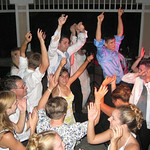 From there, based on the information about you and your guests, we’ll propose a full list of songs for the night. 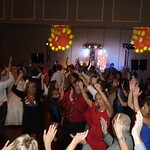 If you have some songs that you want to hear that are not on our list, let us know and we’ll let you know if we can create an arrangement to honor your request or we’ll plan to DJ that song during a break. Absolutely. We do it all the time. We will learn nearly any song you request, subject only to the caveat that we can pull it off credibly with our existing musicians and instrumentation (e.g. we don’t need to hire a horn section to play a Chicago classic or bring in a female vocalist to sound exactly like Aretha Franklin). 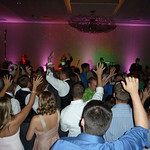 We have learned dozens of songs over the years for our wedding clients, even ones we don’t feature regularly in our public performance rotations. 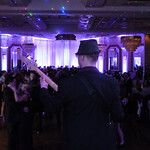 We relish the challenge of putting together music that personalizes the experience for our brides and grooms, so we encourage you to share your ideas with us. WHAT ARE YOUR RATES? IS THERE FLEXIBILITY IN YOUR PRICING? Once we have an opportunity to speak with you and gather the relevant information about your specific wedding date and location, we will email you our complete pricing proposal. We require a 25% deposit to reserve your date. The remaining balance will be due during the week prior to your event. 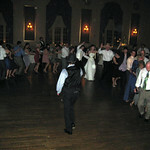 We do offer discounts for Friday and Sunday weddings as well as “off season” weddings (November through April). There may be some other specific dates where we may have more flexibility. Please let us know the details and we will do everything we can to work with your budget. 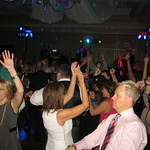 DO YOU TAKE PHOTOS AT WEDDINGS, LIKE YOU DO AT FESTIVALS AND OTHER PUBLIC EVENTS? Yes. We typically will capture between 50 to 200 photos at each wedding and will send the bride and groom a private gallery, which can be shared with their guests. These galleries are not accessible by the public. We do not charge for this. 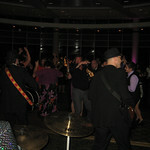 Capturing beautiful photos of people dancing to our music is part of who we are. We ask only that you allow us to use some of these images for our wedding photos gallery. Please note, we are not wedding photographers. 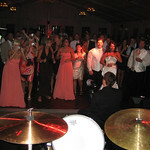 We use excellent cameras but nothing like the cameras and lighting devices that a professional photographer would use. Our photos are no substitute for a professional photographer, but they are an excellent supplement to their work. I SAW YOU PLAYING LIVE AT A NIGHTCLUB AND YOU WERE DANCING IN THE CROWD AND LETTING PEOPLE DANCE ON STAGE. 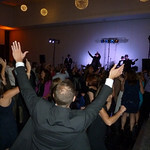 IT WAS REALLY FUN, BUT I DON’T THINK THAT KIND OF EXUBERANCE IS EXACTLY WHAT WE’RE LOOKING FOR AT MY RECEPTION. DO YOU HAVE A SLOWER GEAR? In certain contexts, like a room full of strangers at a club or a large festival lawn, we raise the level of our performance to reach the crowds. 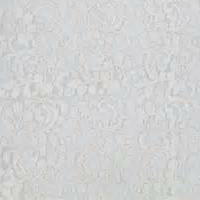 In more familiar and intimate settings, we are considerably more buttoned-down. 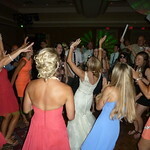 Our approach is fully adaptable, in real time, to be as interactive as you see fit to create the lively, celebratory energy you desire at your reception. We have been the band that never leaves or shares the stage, and we’re comfortable with that. 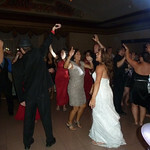 We are equally comfortable sharing the fun with your guests on the dance floor and on stage. Our experience, our chemistry and our philosophy have given us strong insights and instincts about what the context demands, and we will make sure that we deliver exactly the level you expect. DO YOU BRING ALL OF THOSE ZANY HATS TO WEDDINGS? It’s your wedding. It’s your call. 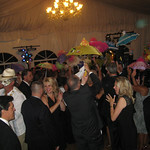 At some weddings, we have left a giant bag of hats out for the kids (of all ages) to enjoy. At others, we have left the bag in the car. 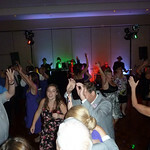 It’s an option to help bring some fun and frivolity to a gathering of family and friends. 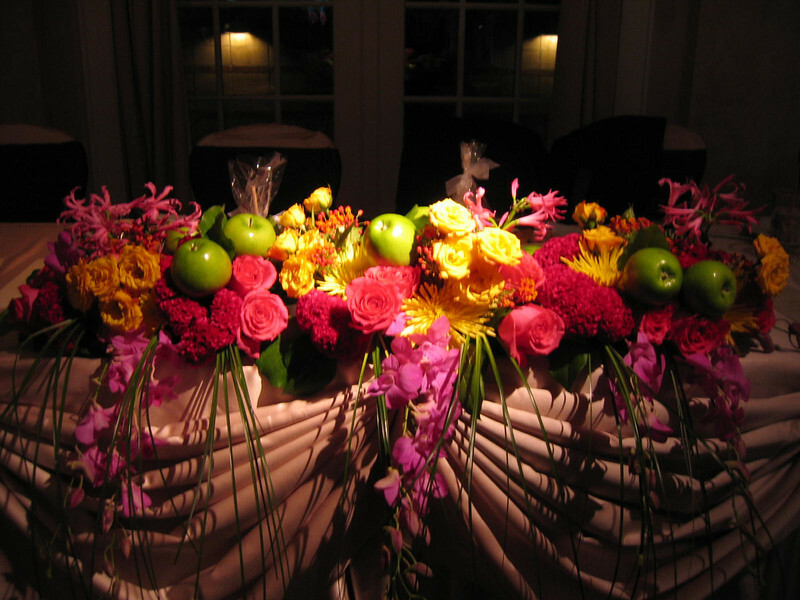 If it does not suit the mood or theme of your wedding, we won’t bring it. DO YOU PROVIDE YOUR OWN SOUND SYSTEM? 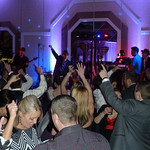 Yes, we have several state-of-the-art sound system options to accommodate a variety of venues. 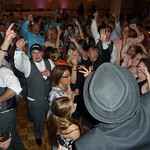 We will make sure to have the sound system perfectly scaled, set up and tested at least one hour prior to the start of your reception. One of our designated team members will monitor the sound throughout your event to make sure it is perfect at all times. We monitor not only the quality of the mix but also the relative volume of our system, cognizant that, while some volume is necessary to keep the dance floor hopping, too much can ruin precious opportunities for your guests to chat and catch up in other parts of the room. DO YOU PROVIDE AN EMCEE? DO YOU PROVIDE DJ MUSIC ON BREAKS? Yes. 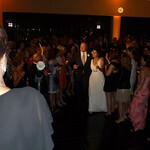 We take care of all announcements and introductions throughout your event. 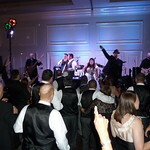 We also make our microphones available for speeches and toasts, as well as the occasional guest performer(s). We do play music during our breaks, although we do not tend to take long breaks. 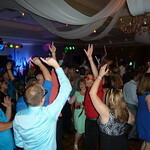 We will keep the events moving along on schedule so you can relax and concentrate on catching up, celebrating and dancing with your guests. Please do not hesitate to contact us if you have any additional questions. Thank you! 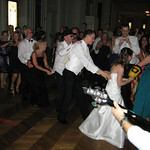 Click HERE to return to the main Weddings page, or use the Navigation tabs at the top of this page.